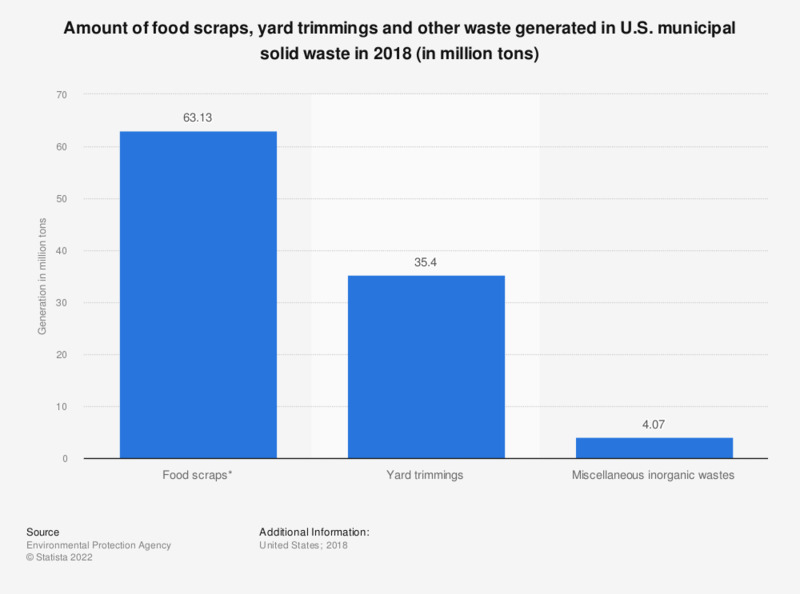 This statistic shows the amount of food scraps, yard trimmings and other waste generated in the U.S. municipal solid waste stream in 2014. The United States generated around 34.5 million tons of yard trimmings that year. * Includes collection of other municipal solid waste organics for composting.